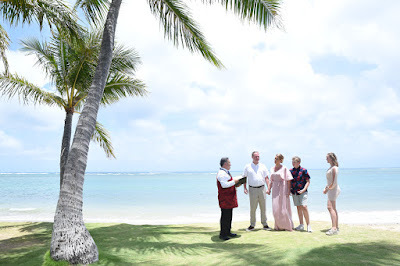 Swedish couple Jesper and Suzan fly half way around the world to Honolulu Hawaii. 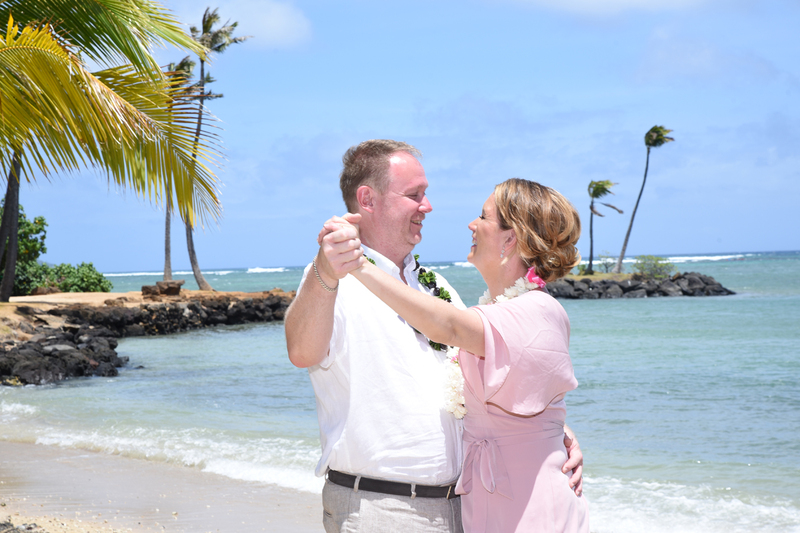 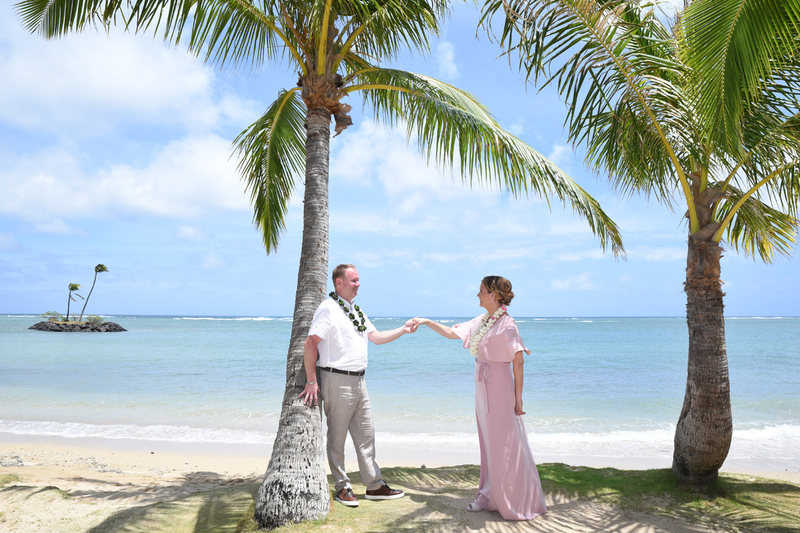 Thank you for allowing us at Bridal Dream Hawaii to be a part of your special day in Paradise! 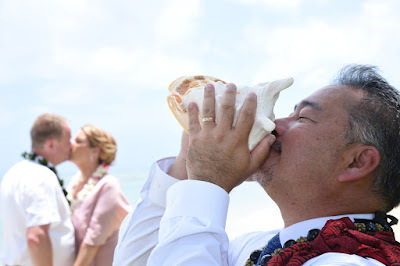 Conch shell blowing alerts those within earshot that something important is about to begin. 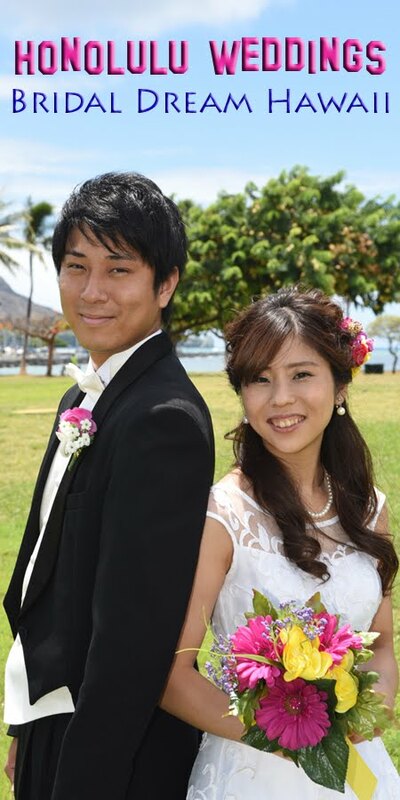 A new life together surely fits the occasion.